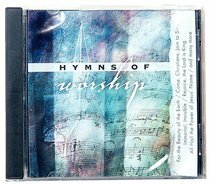 Features twelve hymns, including "For the Beauty of the Earth," "Hallelujah! What a savior," "Come Thou Almighty King," and "All Hail the Power of Jesus' Name." :Features twelve hymns, including "For the Beauty of the Earth," "Hallelujah! What a savior," "Come Thou Almighty King," and "All Hail the Power of Jesus' Name."